Every now and then comes a film that you fall in love with. Be it the characters, the story, the frames, the music... it lingers on long after the show is over. Madhu C. Narayanan's Kumbalangi Nights is one of those rare gems. Malayalam cinema, especially over the past few years, can boast of quite a few flicks that have impressed both the critics and audience alike—Maheshinte Prathikaram, Sudani from Nigeria, Ee. Ma. Yau., Thondimuthalum Driksakshiyum, to name a few. These names would remind you of one name, the man with the Midas touch—Dileesh Pothan. He has been an integral part of this fresh wave, as a director, as an actor and now as a co-producer with Kumbalangi Nights. In fact, Narayanan has worked with him as an associate director in Maheshinte Prathikaram and Thondimuthalum Driksakshiyum. Pothan has yet again placed his bets on the winning horse. Though it's Narayanan's debut film, it hardly seems so. 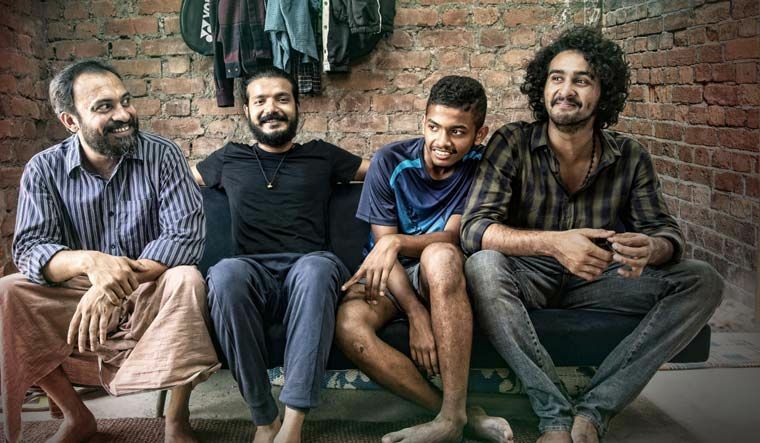 The film revolves around four half-brothers Saji (Soubin Shahir), Bobby (Shane Nigam), Bony (Sreenath Bhasi) and Franky (Matthew Thomas), who live under the same roof (there isn't much else to the house, really!) in a fishing hamlet called Kumbalangi. They share a less love-more hate relationship. Saji and Bobby while away their time doing nothing and trading barbs and blows, while Franky (the youngest and the most responsible of them all) and Bony are busy with football and dance respectively. However, their lives take a turn when Bobby falls in love with Baby (Anna Ben), his neighbour. In fact, all the brothers are faced with challenges which, in ways more than one, bring them together, and some unexpected but welcome guests, too, to their home. Pretty straightforward, you think? Not when the script is handled by Syam Pushkaran (of 22 Female Kottayam, Maheshinte Prathikaram and Mayaanadhi fame). 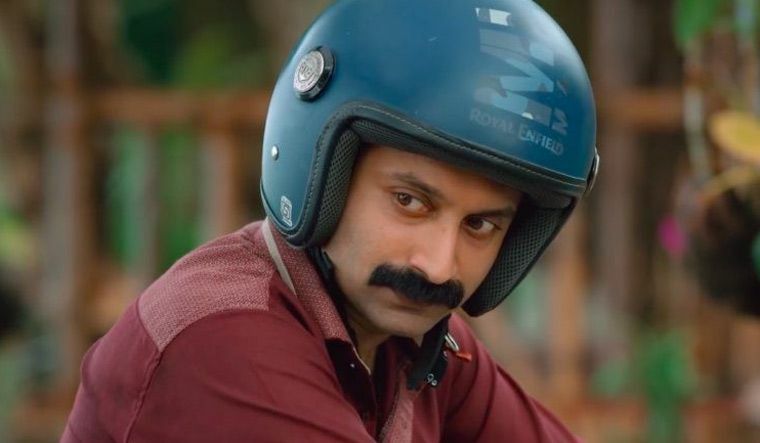 Enter Shammi (Fahadh Faasil), Baby's brother-in-law. He is no villain—at least not the stereotype one. He beguiles the people around him (and the audience) with effortless ease, and one cannot but marvel at Fahadh's ability to slip into such mind-blowing characters so brilliantly. A word here about Grace Antony, who, as Shammi's wife Simi, accentuates his menacing nature, but surprises all with her boldness when it matters. Giving Fahadh a run for his money is Soubin, who sweeps you off your feet as Saji. Here is one actor who can literally have you ROFL one second and tug at your heartstrings the next. In fact, the film is all about an ensemble of well-written characters. Shane, known more for his brooding roles, is a delight to watch as the eternally lazy Bobby with a disarming dimpled smile. And he has the wittiest one-liners in the film. Then there is Bhasi as cool Bony, who hardly does any 'talking' but the audience can hear him loud and clear. Anna, as the effervescent and bold Baby, is a talent to watch out for. But it is not just the actors who hold the film together. Ace cinematographer Shyju Khalid's lifelike frames endear the audience to the island of Kumbalangi. It is complemented well by Sushin Shyam's music, which comes and goes like the sea waves on the beach, and it feels just great. The ending might be predictable, but I assure you that the climax is anything but that!